The Overland Telegraph or the call of cooeee. Both tried and tested ways of communicating in the Outback. But wait... There's more. Well those illustrious words of GdayPubs.com.au founder, John Hatwell, best illustrate the incredulous look of surprise when I explained why I'd set a virtual mobile internet Cafe in the boot of my vehicle, so that I could keep in touch computer-wise with civilisation when enjoying the pleasures of the Great Aussie Outback - when visiting some great Oz Pubs that is! Now I don't want all you ham radio and serious RFDS radio users feeling I've understated the communication challenges of this land. I just want to put life into a little perspective to illustrate that the average city dweller is in for a bit of a surprise once leaving the 100km perimeter of any Australian city or coastal resort! It's interesting this article is being written on the very night that the Australian Government is decommissioning the CDMA mobile telephone network, which favourably covered a huge percentage of the landspace of Australia. Yes the landspace, not the population percentage! You see, quite a few of the 98% of Australians actually like to travel into regions that are not populated by 98% of Australians! And yet they all seem to expect to send an SMS or an email, or phone ahead to the next Aussie Pub for tomorrow night's accommodation or great meal. My tale of communications expectations in this vast land, begins with an embarrassing experience where I tried to rent a hotel room for just an hour. When curiosity got the better of the publican, I tried with some trouble, to explain all I wanted was a room so that my partner and I could partake in some inter-communication with fellow travellers. He plainly didn't undertand the lack of remote telecommunications available when leaving the cities here in Australia! All I wanted, was a phone jack! So I decided to be self-sufficient and build a fully mobile data and voice communications facility so that I could be anywhere, and still email or link into back home customer computer sites or make over the internet phone conversations with family and friends. ABSoutback(1) kept me in touch. And I could walk around wirelessly within about 100m of my vehicle, or be travelling at 100km/h in convoy interchanging MSN messages or Skype phone calls to lots of other fellow travellers. And that was on CDMA! We've moved onto 3G since then and well - I still miss CDMA! But enough of that collaborative mobile internet cafe talk...... What about the average Joe who just wants to make a phone call, write an email or browse the internet..... and he's halfway between roadhouses on the Nullarbor? Let's look at the choices of technologies both in the cities and in the remote areas where you might be out exploring some of our great Aussie Pubs doing a Pub Trail. 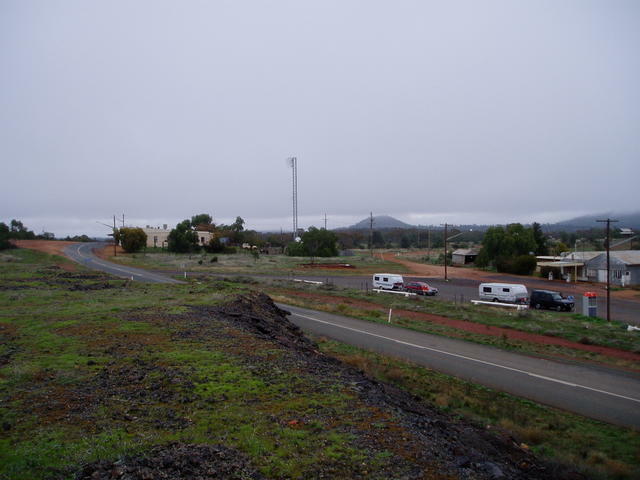 Communications towers adjacent the Copper mines in Cobar NSW. 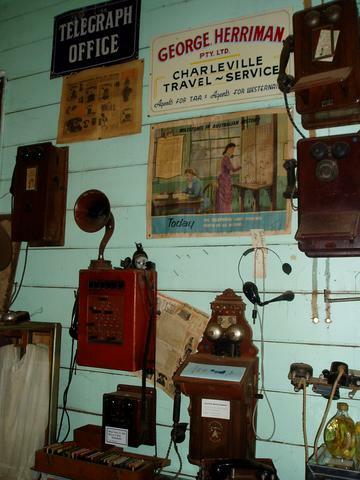 Telephones have sure come a long way since the first party lines in Australia - or have they? At least the party line kept locals in touch with what was going on - sometimes with more information than they were ready for, what with the switchboard operator listening in, and the party up the road picking their handset up at the same time! Maybe this was the first call for the Privacy Act kicking in. 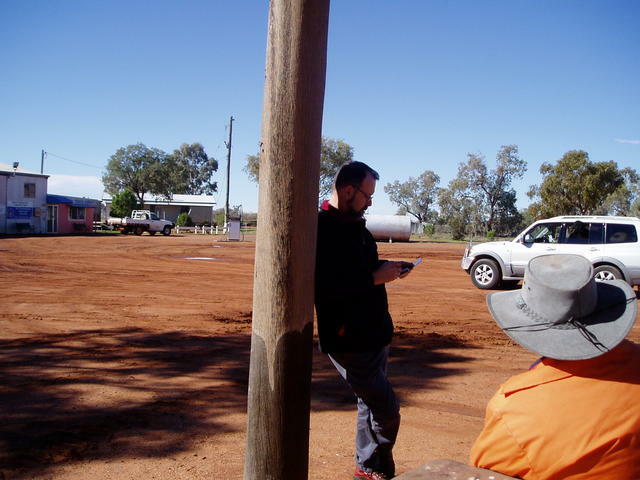 Landlines are still an important part of the remote communications structure in Australia. The population being so small in comparison to the land mass, creates a never ending financial and infrastructure challenge to the providers of communications here. So the humble 56k modem line and handset in many outback locations is often the only form of communication available in the town. 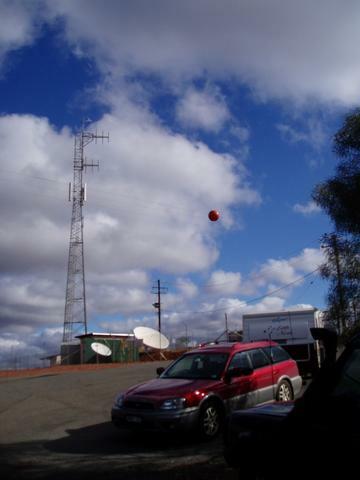 With the shutdown of CDMA mobile telephone towers, which were kept in operation to service the rural areas of Australia up until April 2008, there alternatives are GSM and now 3G tower based transmission systems for mobile phones. Both services offer coverage dependent upon the location of towers based on the provider you subscribe too. So it comes as a bit of a shock to inner city dwellers to find their connection just drops out as they move away from their usual abode - or a financial shock when they return to a bill that shows they've been communicating via some roaming facility that imposed a surcharge from a competitor's tower facility. So make the calls short and sweet! Satellite Phones attempt to get around this problem, by relying upon earth to satellite communications rather than wired or transmitter tower based links that you need to be close to. Such technology is worth its weight in gold to ensure communication when stranded or in an emergency, but can be expensive for chatting about the weather to mates back home. Pay phone at the Kidman Camp in North Bourke NSW. Then there's always the humble telephone box - even some of these are satellite phone connected in the more remote places! Don't forget to carry some gold change for a call! Skype phones and VOIP phones that transmit compressed voice signals over computer data connections are becoming a popular cost effective communications method in businesses and homes around Australia - but can present the same challenges in finding a connection when leaving the highly populated areas. Two-way radio based on stregically based transmitter towers provides zero cost commuiction - but you have to erect and maintain the towers or rent space from a service provider! These aren't too thick on the ground when you leave the suburban areas either. For road and off-road travellers, there's the one-to-one UHF or old 27Mhz CB radio where you can talk vehicle to vehicle or basestation at close proximity like a few kilometers, perhaps greater distances with the use of relay channels. These are great when travelling the outback with fellow travellers, typically found with turcking and 4WD enthusiasts. Just get ready for a real education when you listen to the language over the airwaves! But these are brilliant devices even in the suburbs when approaching travffic jambs in peak hour. Nothing like a heads-up warning of an impending 2hr traffic jamb, and the opportunity to dive off the next exit and make your destination in time. There's always someone out there ready to give you an answer - even if you don't want to hear it in the venacular! Sometimes, just standing near the telegraph pole gives you a sence of improved speed on your PDA using CDMA in some remote areas! Barringun on the Matilda Hwy short of the NSW/QLD border. Whether you have a computer like a laptop/notebook, a pocket sized PDA or one of the mid-sized eeePC type devices, when it comes to communications, then geography plays a big role in your selection. With each of these technologies there are always limitations when travelling. 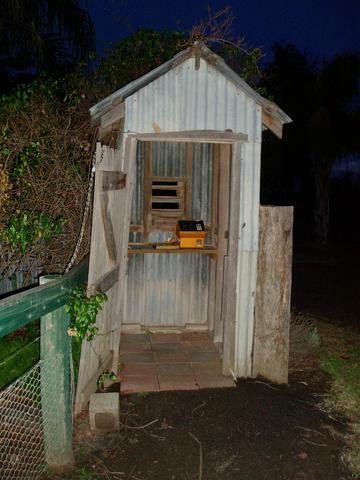 What is a cost effective and practical solution in one location may be quite the opposite when moving 100kms away - or when in use whilst actually moving around when in use. SOme technologies such as internet cable connections, require a contract for a period of time, have fixed in place cabling considerations, and therefore only belong in the one place it is installed - no good when travelling. So now you need a second communications tool for the trip. Depending on how much you travel, and what areas you travel into, how much data you send up and down, and how many hours you need to - all play a part in deciding on the best contract 'plan'. The emergence of technologies like 3G (used in mobile phones) or NextG (branded for use in data situations) is slowly growing in popularity as a means of being free of a wired, single location solution. As this technology grows to provide coverage in ever widening regions, and quota allowances become more generous, then the opportunity exists to enjoy usage in both your home or office base, as well as when travelling remote or rural areas of Australia. If you have a big enough aerial, you can punch out enough signal! Mounting computers, UPS, power inverters and accessories. ABSoutback(2) rig doing the NextG trial over the Nullarbor. 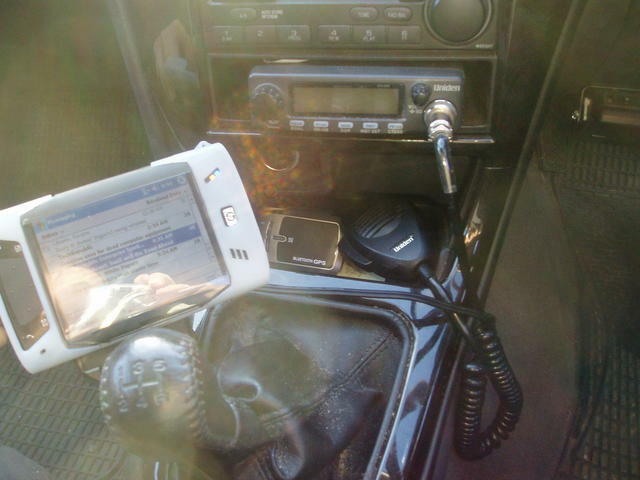 GPS, PDA with Navigation, UHF radio - all with easy accessibility. 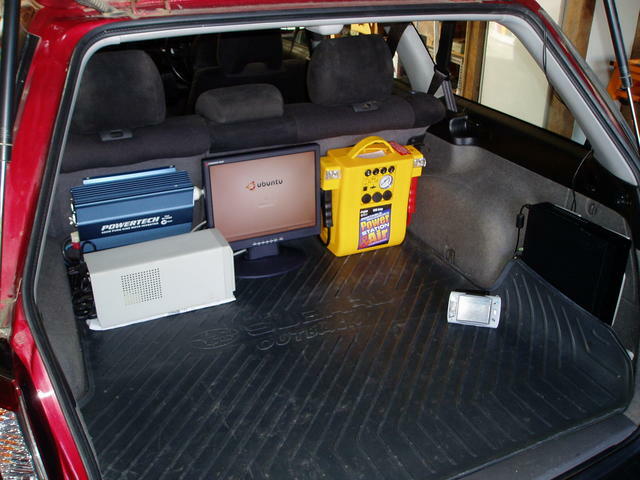 For equipment that requires additional power, then auxilliary devices may be needed for coping with continuous operation when the vehicle is unattended, but communication/computer devices need to kept running. Such equipment must also cope with the rigors of rough terrain travelling, so give some thought to where it can be placed, so that other practical uses of your vehicle can continue to take place. Internal wiring of special applications like this can be quite tedious. Looming through the firewall, incorporation of Solenoids, relays, switches and circuit breakers, and the provisioning of substantial diameter power wiring all present some head scratching when confronted with tight areas to work with in a vehicle. 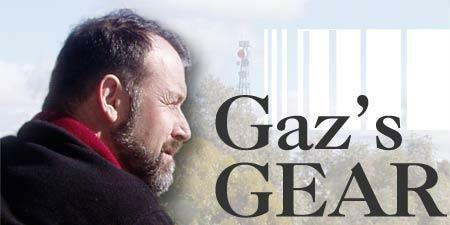 On the road, researching some more Gaz's Gear! Well, I hope you've gained a little more of an appreciation of size of the Australian outback, and the issues that you are confronted by with communications. Its just one of those things in life that you'd like to get away from, but just can't live without!